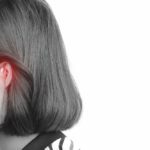 HealthDay News — Internet-based vestibular rehabilitation reduces dizziness for adults aged 50 years or older, according to a study published in the Annals of Family Medicine. Adam W.A. Geraghty, PhD, from the University of Southampton in the United Kingdom, and colleagues enrolled patients aged 50 years and older with current dizziness exacerbated by head movements. Two hundred ninety-six patients were randomized to either usual care or an intervention group that accessed an automated internet-based program teaching vestibular rehabilitation exercises and suggesting cognitive behavioral management strategies. The Vertigo Symptom Scale-Short Form (VSS-SF) was used to measure dizziness at baseline, 3 months, and 6 months. Overall, 250 and 230 patients completed the VSS-SF at 3 and 6 months. The researchers found that the internet-based vestibular rehabilitation group had significantly less dizziness on the VSS-SF at 3 and 6 months, compared with the usual care group (difference, 2.75 and 2.26 points, respectively). The internet-based vestibular rehabilitation group also had significantly lower dizziness-related disability at 3 and 6 months (difference, 6.15 and 5.58 points, respectively).